Berlioz. Vaughan Williams. Schubert and Schumann. Mozart after the Jupiter Symphony, Bach beyond the Brandenburg Concertos, opera after The Magic Flute. In his informed and indispensible guide with over 157,000 copies in print, National Public Radio's Ted Libbey takes listeners by the hand through the classical repertory to build a music library. For the second edition, with five years of new performances to consider, five years of new releases to review, and five years of reissues to re-evaluate-the author has completely revised and updated the book. While sticking to the essential 300 works, there are now one-third new selections and reviews, and a 50% change in discography to keep all suggested CDs up to date. 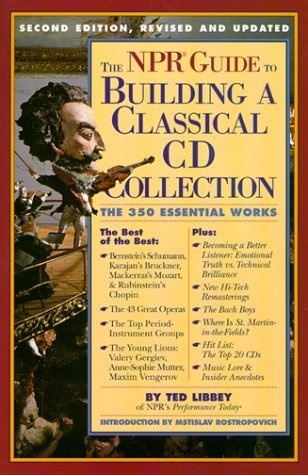 "The NPR Guide tp Building a Classical CD Collection" will make every music lover's core collection complete.